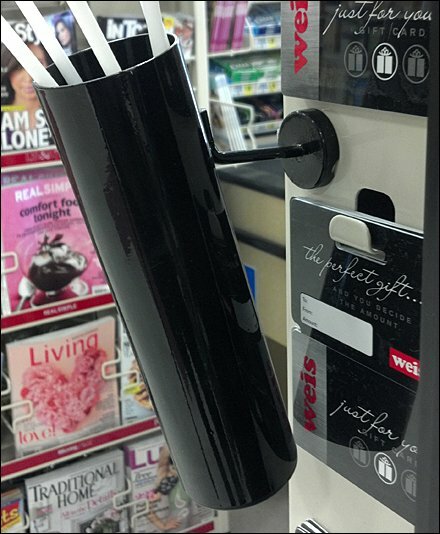 A magnetic mount allows this display to be positioned anywhere there is a ferris metal stanchion for it to grip. 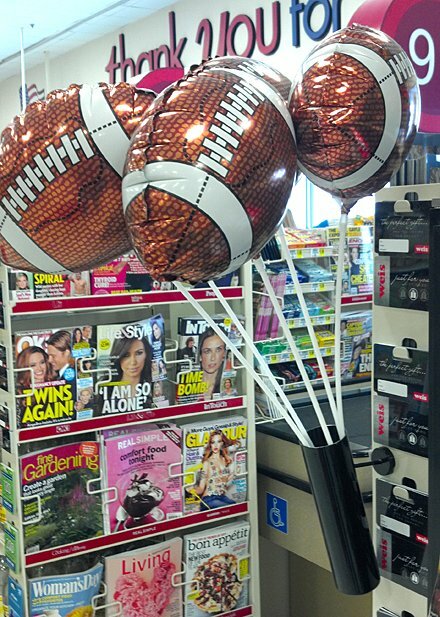 Here at the cashwrap if fields pre-game football balloons, but it could be equally useful for chocolate roses for Valentine‘s Day, flowers themselves or other items. CLICK the thumbnail for a look at the magnetic base.